LAFAYETTE, Ind. — In conjunction with Club NewTone, students from the dietetic program in the Department of Foods and Nutrition at Purdue University will present a nutrition seminar entitled “Eat, Drink and Be Merry – Tips for a Healthier Holiday Season” on December 7, 2010 at 6:30pm at Club NewTone, located at 725 Sagamore Parkway North in Lafayette. This hour long presentation will focus on new ways to re-invent traditional holiday dishes to reduce both calorie and fat content. Additionally, samples of these re-invented holiday dishes will be available for audience members to enjoy. 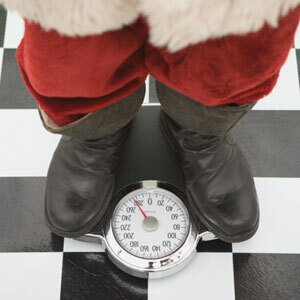 Moreover, tips to improve eating behaviors during the holidays will be discussed. The presentation is free and open to the public. Any non-member who attends the presentation will receive a free three day pass to enjoy all the amenities of Club NewTone. For more information, contact facilitators of this session: Julie Przybyla, Foods and Nutrition Student, Purdue University (jstacey@purdue.edu) or Michael Lopez, Foods and Nutrition Student, Purdue University (mvlopez@purdue.edu).